Take a break from crime fighting and have a drink with Steve Rodgers! 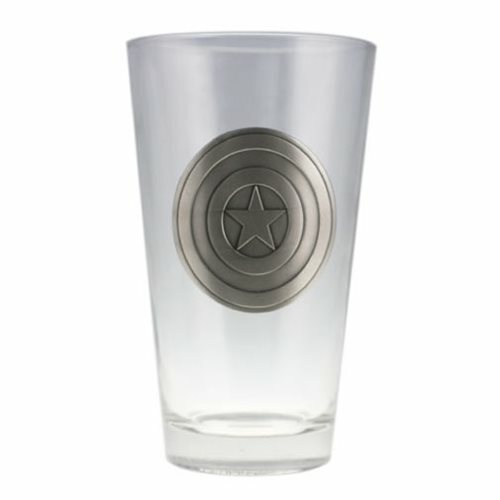 This Captain America Colored Shield Pint Glass features the trusty shield of Marvel's First Avenger on a clear 16 oz. glass. Perfect for the dinner table or your next superhero party! Hand wash only. Not dishwasher safe. Do not microwave.